Q-workshop presents dice set for the second part of series released by Paizo Publishing - Pathfinder Chronicles: Curse of the Crimson Throne. 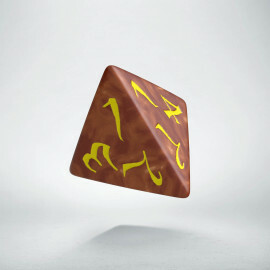 Dice, that in red and yellow represent the splendour and richness of kings court. Its shiny appearance, that hides ambition, revenge.. and secrets better not uncovered. 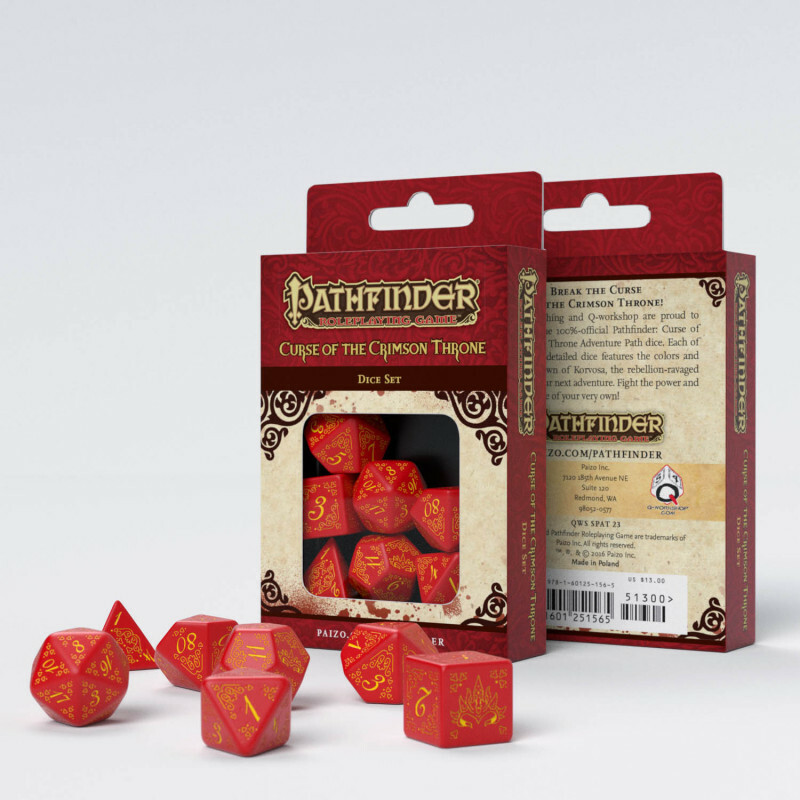 Q-workshop presents dice set for the second part of series released by Paizo Publishing - Pathfinder Adventure Path: Curse of the Crimson Throne. This time, the authors of the adventure series made the players face all the dangers associated with urban jungle and king’s madness. Our dice dedicated to the game had to convey the essence of the plot. The choice was not difficult. 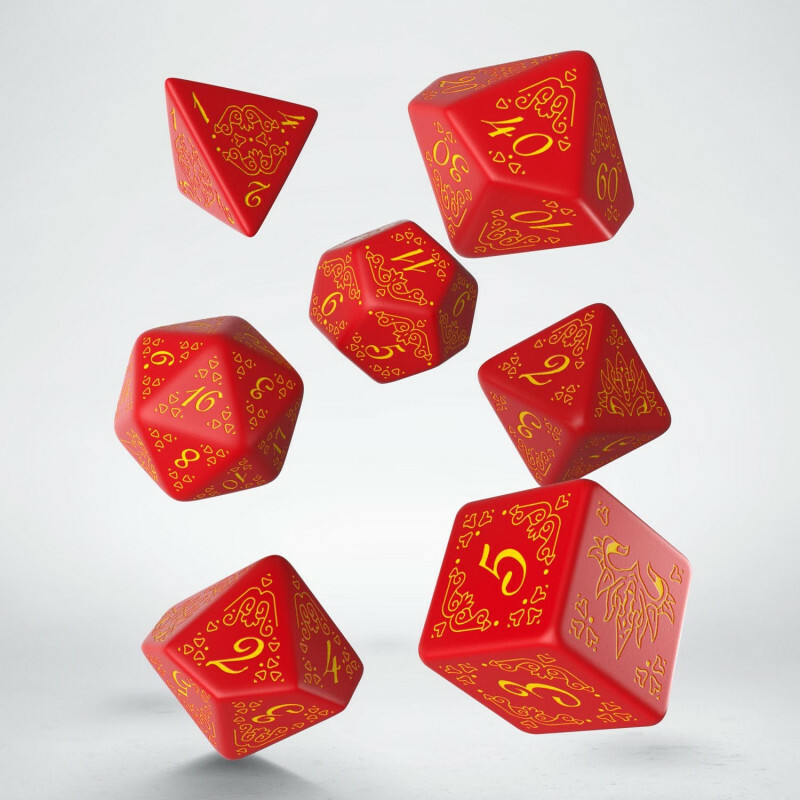 Dice in red and yellow represent the splendour and richness of kings court. Red like royal purple, yellow like madness and delicately engraved digits and ornaments worthy of the most magnificent palaces; all this made of the best material, smoothed out so that the shiny surface seemes to hide the ambition, revenge.. and the secrets better not uncovered. 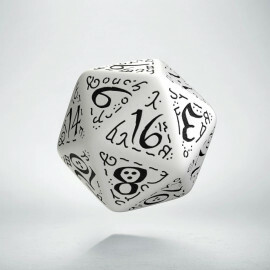 Without the false modesty, the majesty and splendour of our dice enchants. We have the opportunity to create beautiful dice with complex engravings that last for years and we use it for the production of our sets. The scarlet on the cursed throne (described in the title of the campaign) literally and metaphorically comes from the spilt blood. This campaign is not a peaceful one and in some cases it turns into the Shakespearean tragedy, where betrayal rules and death takes his tolls. The terror is growing in the first part and black clouds gather over the once beautiful city (Edge of Anarchy). The second act is death from the plague which forces everyone to make desperate acts (Seven Days to the Grave). Whenterror, anarchy and madness of the queen reach the apogee , in the third act there is nothing left but escape (Escape from Old Korvosa). Redemption through blood and conflagration is the story of the fourth act (A History of Ashes), which in the fifth causes that even the dead cannot sleep well (Skeletons of Scarwall). The grand finale in the sixth act is the final test, will the madness win or will the peace return? (Crown of Fangs). The clatter of our dice perfectly strengthens the atmosphere of horror and delighted players will surely ask for an encore and another campaign. Crimson dice will be useful again.